with Hungarian roots, born in 1985 in Vienna. 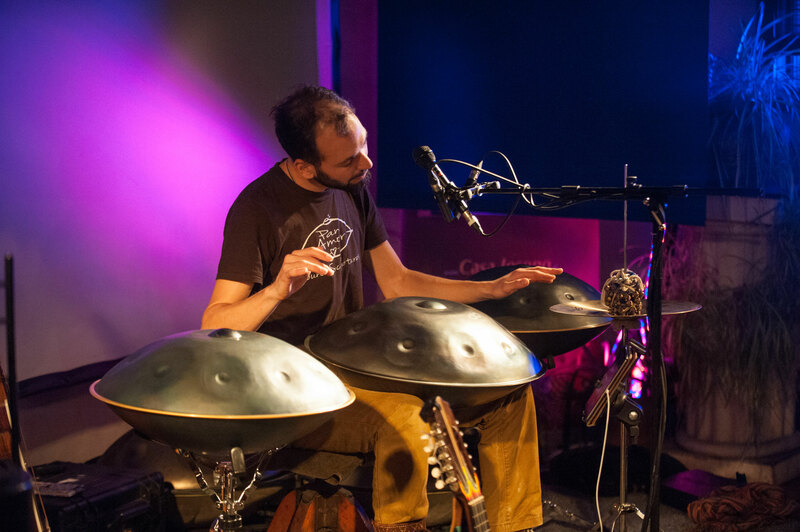 his father a master percussionist who familiarized him with Afro Cuban music from early age. 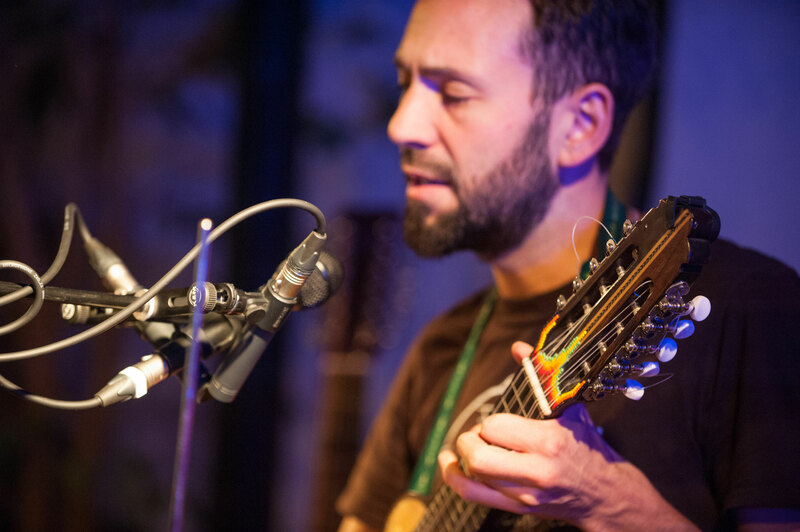 sings inspired by large travels into rich cultures from all over the planet. 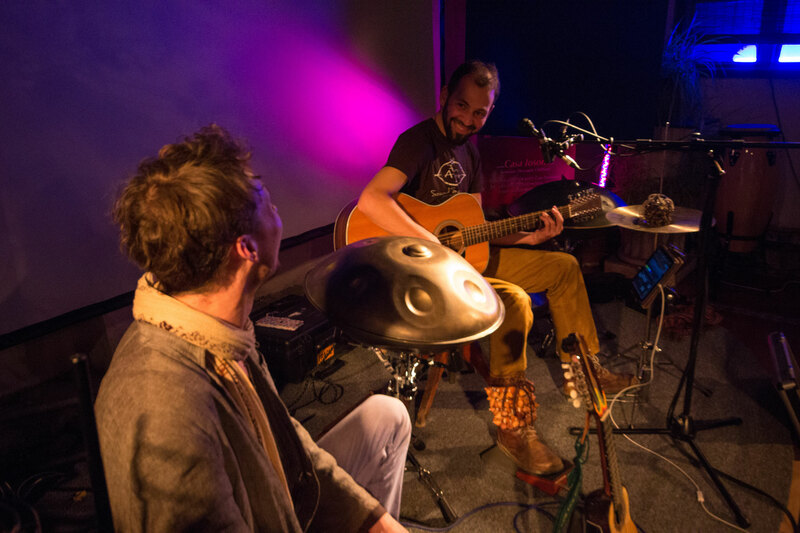 overtone Singing and self written songs which remind to simple folk melodies. with an uplifting and tranquil mindset. 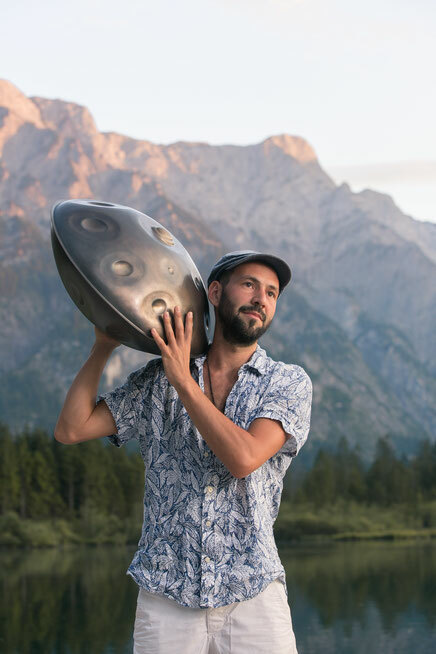 After 15 years of playing Hang & Handpan Amín is called to teach techniques and new musical approaches on that contemporary Instrument, he is holding workshops & plays a wide range of instruments, composes, sings and writes original music and lyrics to remember the power of the moment, the thoughts and the spoken word. 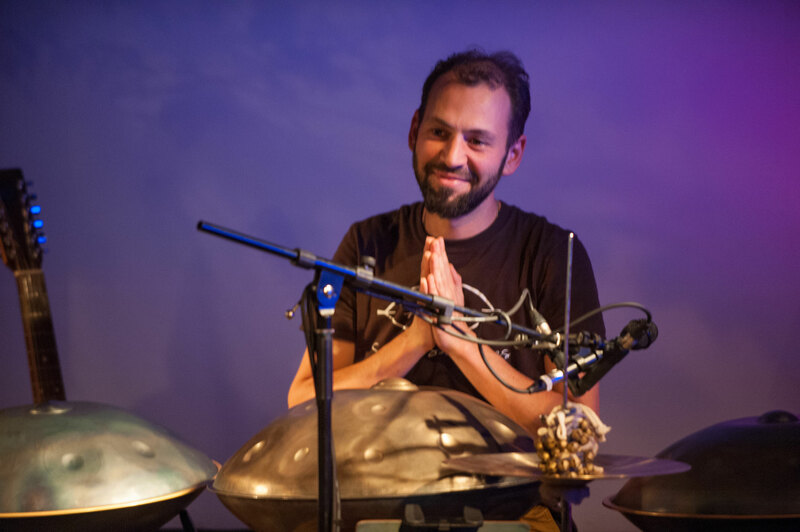 He is exploring therapeutic aspects of sound and music with Hang ~ Handpan ~ Congas ~ Bongos ~ Cajon ~ Calabash ~ Darabuka ~ Pandeiro ~ Guitar ~ Charango ~ Flutes ~ Voice ~ overtone singing ~ Gong ~ crystal & tibetan bowls ~ Monochord. 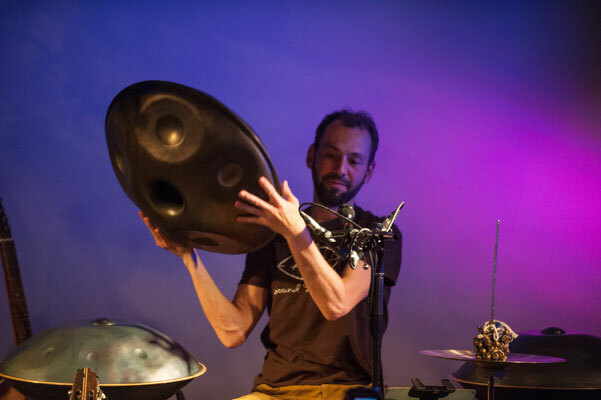 His main instrument of expression remains the Hang / Pantam and his voice which he combines intuitively together. For it was at the age of 17 when Amín decided to study more seriously the Conga. He was then taught by his father André Vàrkonyi for several years of study and performing on stage with his percussion group Conga Forte. In the meantime he started to join different band projects and made more experience on stage in the genre of Reggae, Funk, Hip Hop with Braindrain & Cosmic Juice in Vienna. Amín recorded his first album "Hang Sphere" with an approach of improvisation inspired by the Hang and it´s unique sound, blended with instruments and collaborations from fellow friends who supported him on this journey. The road takes him to Ecuador & Mexico where he meet with Luis Mendez & Enrique Males, both well respected musicians & sound healers representing ancient culture. They start to collaborate and record various CD´s together "The Journey - live in Mexico", "Las huellas de transito Amaguaña" and "Madre Tierra - Mama Cacuango" with Enrique Males. Winning the premium alba nominee for the best Latin American production in its field. Back in the days busking in the streets of Europe collecting more experience and performing his own unique style of playing in front of people he encountered with Norbi Pan. 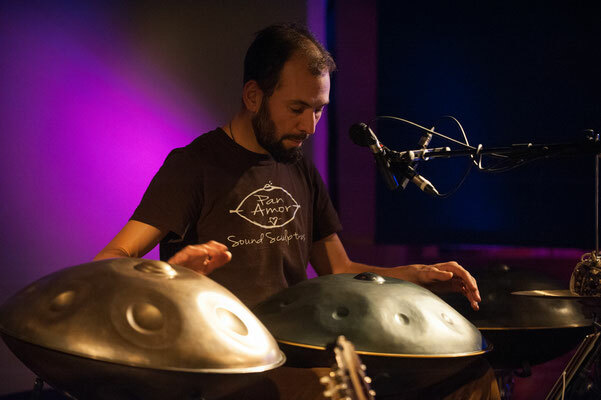 Followed by a long period of being on stage with the Freedom Cafe Project fusing all kinds of ethnic instruments with the Handpan and performing their original world music and Album "Temple of Sounds" on Festivals like Ozora, Boom, Somuna, S.U.N, Psy Fi & Everness Festival. 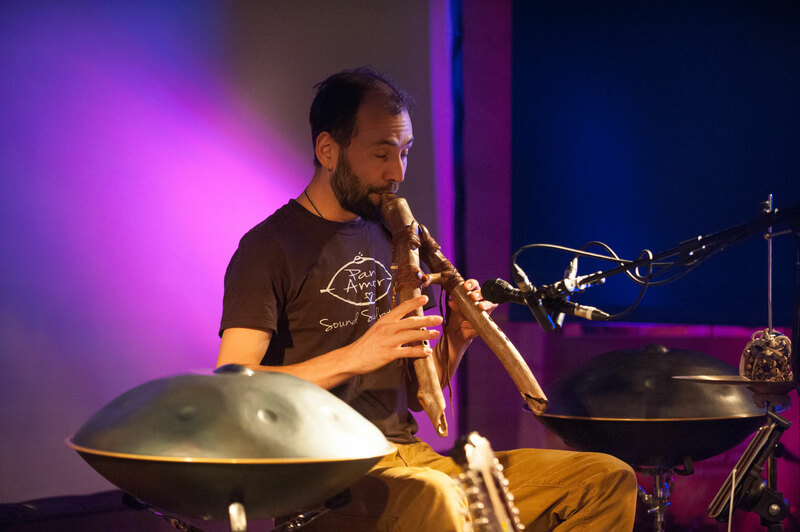 In this time he met with the Celtic harp player and multi Instrumentalist Alizbar who takes him to Russia, performing and touring in every city between St. Petersburg & Novosibirsk with the esemble Alizbar & Ann Sannat. In the meanwhile he works on his own music albums with deep sound healing character and publishes "Waters of Wisdom" and "Voices of Oneness". 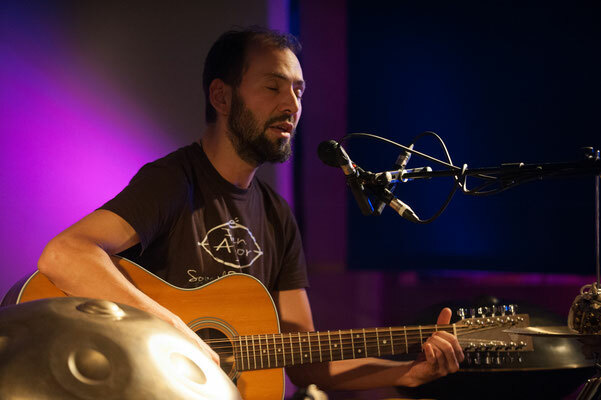 He performs countless solo concerts and inner journeys with his original music and outstanding style of creating a space for listeners to emerge deep into their being. The harmonious gateway to the world of overtones and its invitation to introspection, have a great influence on his music. Likewise, extended journeys into other cultures, ancient teachers and indigenous people.